Advanced MotorTech LLC was founded by Dr. Keith W. Klontz in 2005 to provide expert design engineering services specializing in electric machines. 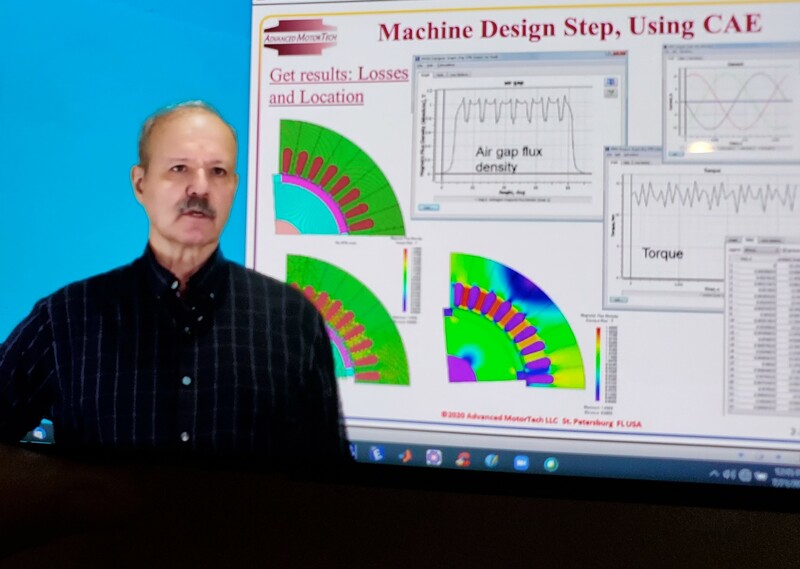 Advanced MotorTech has quickly grown to become a premier resource for clients worldwide to conceptualize, specify, analyze, design, simulate, optimize, build, test, and use electric machines and magnetic components to achieve state of the art or break-through performance. We are engineering intensive at the advanced level, with degreed engineers comprising more than 60% of our staff. We are emphatic about using hard-earned factory floor experience to maintain common sense, high value and realistic manufacturability in all our work. The company is privileged and proud to be a partner of JSOL Corp (Tokyo), developer of JMAG Finite Element Analysis (FEA) software, widely recognized as the best in the world. JMAG FEA has strong links to widely used CAD/CAE programs like SPEED, SolidWorks, Catia, Matlab, Simulink, Pro Engineer, OPAL-RT, and PSIM, which makes it a powerful design tool for our design engineers. Contact us now to use our solid engineering foundation and strong technical team to help achieve cost effective and high value results.